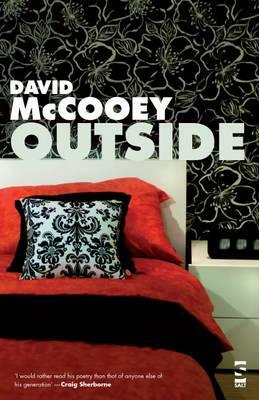 Shortlisted in the Queensland Literary Awards Finalist in The Melbourne Prize for Literature 2012 Best Writing Award Outside is the second full-length collection from the prize-winning poet David McCooey. Outside takes the most basic of categories-day and night, inside and outside-and makes them the source of powerful meditations on the strangeness of our diurnal lives. In the resonant landscapes of these poems, the domestic slides into the universal, the personal becomes the historical, and the cultural is the real. This is a deeply unified work, even as it encompasses reflections on such diverse topics as the number 5, hands, newborn infants, heaven, anger, and rock music. The collection also features a number of major sequences, including ‘A Short History of Night’, and an electrifying response to the films of Stanley Kubrick. The book is also finely balanced in another way: by a generous and unique sense of humour, demonstrated in the dadaist and hilarious ‘intermission’. Outside is always unsettling, but it is, too, always humane.